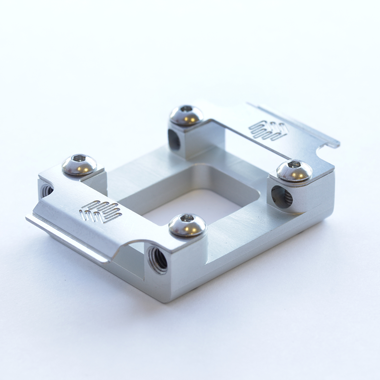 Suitable for generating highly monodisperse organic-in-aqueous droplets between 25 µm to 70 µm. The chip carries two identical but separate flow focusing junctions. Each junction has 1 inlet for the droplet phase fluid (organic), and two inlets for the carrier phase fluid (aqueous). Suitable for generating highly monodisperse aqueous in organic droplets between 25 µm to 70 µm. 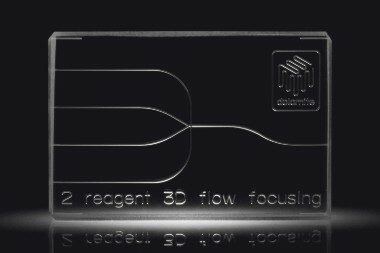 The chip features two separate inputs for the droplet phase fluid (aqueous), allowing in droplet mixing, in droplet reactions or formation of Janus particles. It has two inlets for the carrier phase fluid (organic). 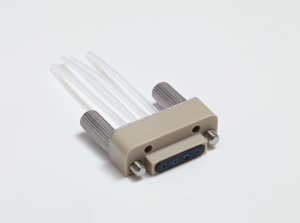 Suitable for generating highly monodisperse aqueous in organic droplets between 25 µm to 70 µm. 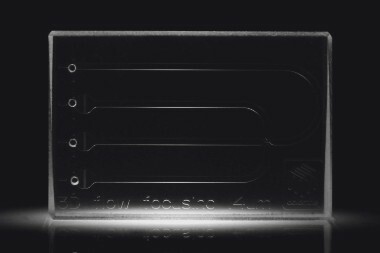 The chip carries two identical but separate flow focusing junctions. Each junction has 1 inlet for the droplet phase fluid (aqueous), and two inlets for the carrier phase fluid (organic). 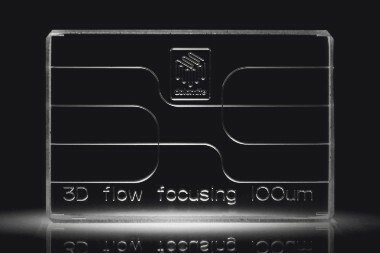 Suitable for generating highly monodisperse organic-in-aqueous droplets between 5 µm to 12 µm. The chip carries two identical but separate flow focusing junctions. Each junction has 1 inlet for the droplet phase fluid (organic), and two inlets for the carrier phase fluid (aqueous). The unique pore structure on the outlet side of the droplet forming junction creates a 3D sheath flow in the droplet pinch-off region. This flow pattern is especially useful when handling viscous droplet fluids which are otherwise liable to foul the junction surface. This feature allows longer droplet production times and extended chip life. 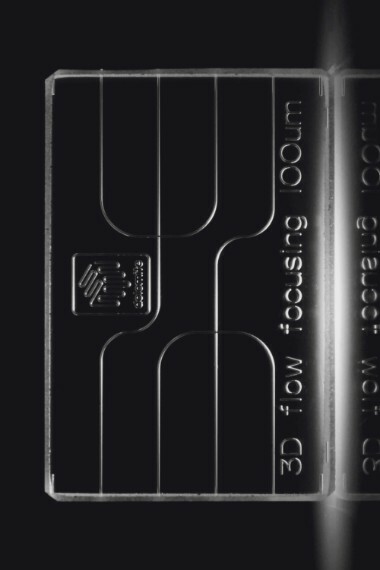 The 100 µm 3D chips are compatible with the H Interface (Part No. 3000155) and Linear Connector 4-Way(Part No. 3000024) which enable quick and easy connections.